Have you ever wanted to swim with the largest fish on earth? 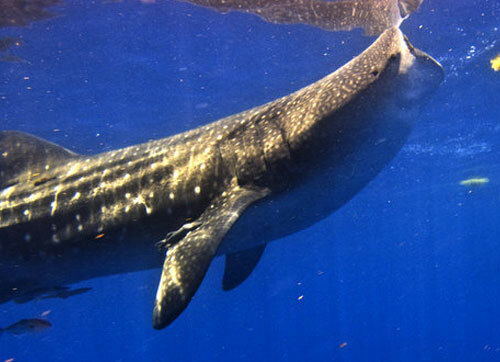 Whale sharks are about as big as a humpback whale, and can grow to 30' in length. They eat plankton, so they won't eat you. 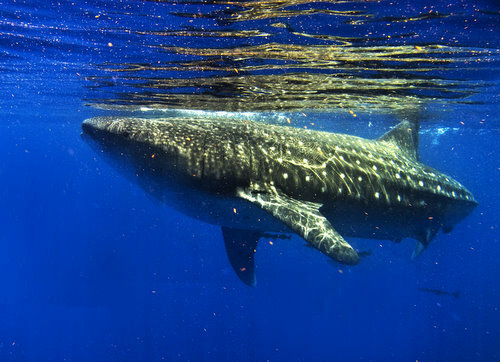 Every July and August the Whale Sharks migrate to the area north and east of the Yucatan Peninsula to feed on plankton and algae. For years they spent most of the their time north of Holbox. The last couple of years, they have been going to an area about 20 miles north of Isla Mujeres. This is the largest concentration of whale sharks in the world. After they leave the area, the go all over the world. Most go back north to the gulf, some go south to Honduras waters, and some go half way around the world. They are protected by the Mexican government and are being studied by researchers. Little is known about their mating or birthing habits. There are tour operators our of Cancun, but we highly recommend Rafael de la Parra . He and his family are dedicated marine biologists who spend a lot of time studying, tagging, and tracking these animals. 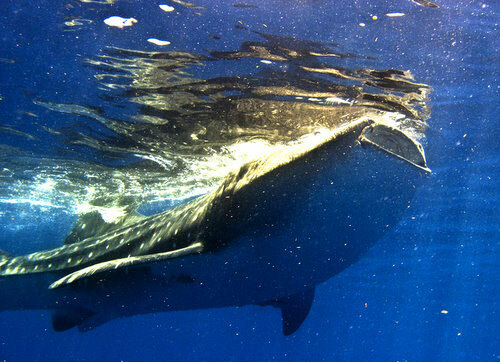 He and his family occasionally take interested people out to see and swim with the Whale Sharks. Though this dive is not around Cozumel, you can get there from Cozumel. There are some dive operators on the island who will take you there from Cozumel. 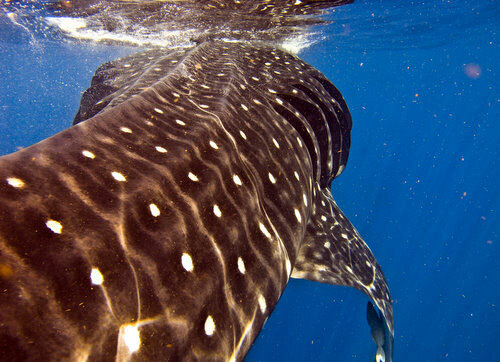 We recommend taking Maya Air ($60 one way) to Cancun and spending a day with Rafael and the Whale Sharks.